Anyone who has lived in the Carolinas is likely familiar with our unpredictable weather conditions. Hail and fallen tree limbs can wreak havoc on your home’s roof, gutter system, and overall exterior. In the aftermath of natural disasters, our team of emergency roof storm damage experts will come to your rescue promptly. It’s important to contact a reputable emergency Lake Norman roof repair company as soon as possible following a storm where damage has occurred. Doing so will ensure no further damage is done, ultimately adding years of life to your home and keeping it in tip-top shape. We provide free inspections prior to any repair service and will work directly with your insurance company to make the process as easy and hassle-free as possible for you. We know how stressful water damage to your home can be. We’re here to reduce and eliminate stress with our hassle-free water restoration services. If you’ve experienced damage to your roof, gutters, or the exterior of your house because of a natural disaster, we’ll help you return to your daily life and routine as quickly as possible. Our high-quality Lake Norman roof repair services are affordable and efficient and designed to minimize further storm damage in subsequent seasons. You can rely on us to create an exceptional customer experience, whether your roof was damaged by fallen trees or hail. Hail damage can be quite scary. During a big summer storm, hail the size of golf balls can crash down on your house, creating massive holes and leaks in your roofing structure. Our team of roof Lake Norman hail damage repair experts will patch up your roof, or, if needed, install a new one on your home. 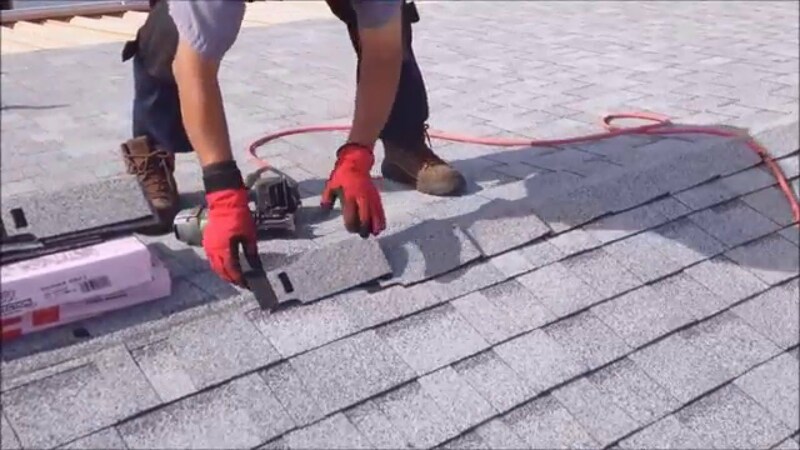 We use top-quality asphalt shingles that are designed to withstand the elements, making our Cornelius NC emergency roof repair and roof replacement services the best in Huntersville. And no need to worry about your insurance company being a pain in the you-know-what. Let us take care of your emergency storm damage repairs, and we’ll work directly with your insurance provider. We stand behind our 100% satisfaction guarantee! ​In need of roof repair due to Lake Norman water damage? Call us today, or fill out the form on this page for a free roof inspection and on-site estimate.